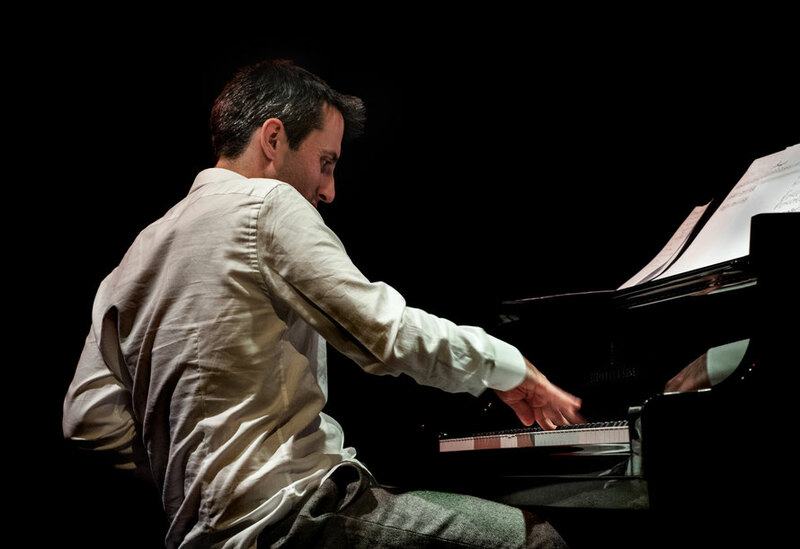 Alexander Hawkins, pianist, organist, composer and bandleader has been described by Downbeat magazine as 'one of the most unique voices in contemporary music, whose work has reached a dazzling new apex'. Self-taught, he works in a vast array of creative contexts. His highly distinctive soundworld is forged through the search to reconcile both his love of free improvisation and profound fascination with compositions and structure. We are delighted that Alexander will be celebrating the release of his latest solo recording, 'Iron Into Wind' on the prestigious Swiss Intakt label, by playing a concert in the beautiful Bateman Auditorium at Gonville and Caius College, Cambridge. Along with his solo performances, Alexander leads and composes for his Quartet and Ensemble, and plays with South African drum legend Louis Moholo-Moholo in a duo and as one of the 'Blokes'. He also has long-standing partnerships with Evan Parker, John Surman and Sofia Jernberg; and performs alongside contemporary leaders Joe McPhee, Anthony Braxton, Marshall Allen and Ethio-jazz pioneer Mulatu Astatke.